Today I had a client come into the studio for a lash fill, anytime I have a new client that already has extensions on I first book a consultation in order to assess what state her lashes are in. The reason for this is that many clients come in with poorly applied lash extensions, too much glue, damaged lashes etc I can not fill that kind of work. I have blogged before about how important it is to do your research on your lash stylist, make sure you see before and after pictures not stock photography pictures. I am a certified Xtreme Lash stylist with over 3 years experience and named Xtreme Lash stylist of the month in June 2009. I have worked on many different eyes from Asian eyes, corrective to extremely short and curly Africian American. 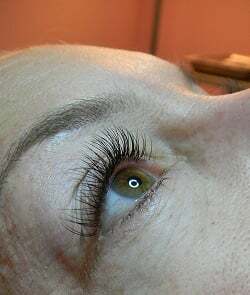 Xtreme Lashes is not a treatment that you can do once a month and be good at, being an Xtreme Lash stylist takes time, dedication and skill not to mention patience and an eye for detail. I wanted to show you my client Diana’s before and after pictures below. 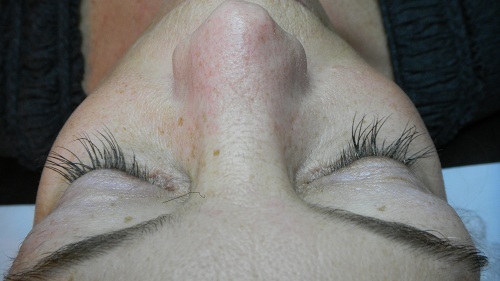 You will see how she came into the studio today, the removal and a full set of properly applied Xtreme Lashes. 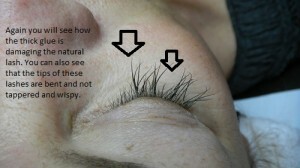 The lashes she has on before the removal were done at a nail salon using a different brand than Xtreme Lashes. 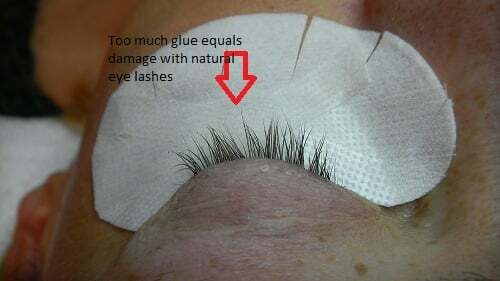 The glue was applied too thick, making her other lashes adhere together which in turn damages the natural lash (see the gap in picture #4). 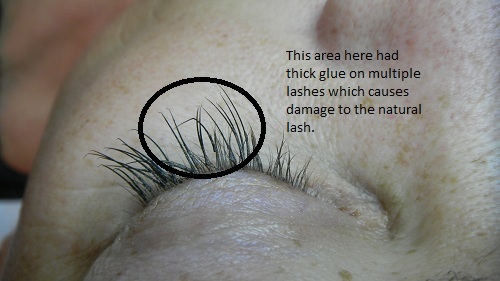 The length was extremely long and was not appropriate for Diana’s natural lash length. I used Xtreme Lash C-Curls in black lengths 8mm-12mm with the Ultra glue. I did add in a couple of 13mm lashes to give Diana a little more wing to the outer part of her eyes. Diana did have damage to her natural lashes from how much glue was applied from the nail salon. My application was more corrective meaning I had to make sure I was applying the lash still one mm away from her lid but below the crink she had in most of her lashes. The result is a full, lush and beautiful set of Xtreme Lashes.